Imagine a sculpture that doubles as a valuable business tool. 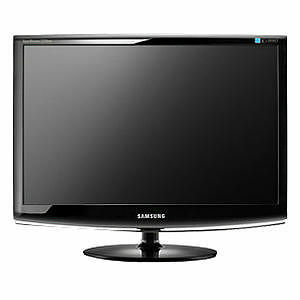 That's the SAMSUNG 2333SW 23" widescreen LCD monitor. Its soft curves, rich piano black finish, clear acrylic accent bar and integrated cable housing lend distinctive style and sophistication to your desk.